Nigeria begin their World Cup campaign against Croatia on June 16, 2018. 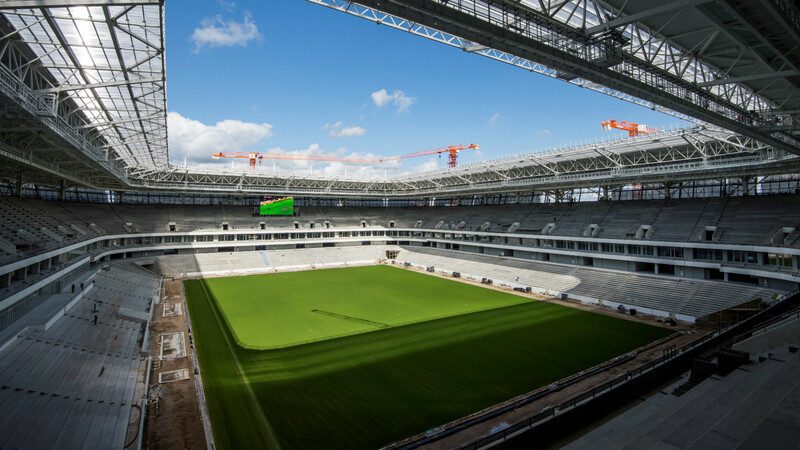 The encounter billed for the Kaliningrad Stadium marks the first meeting between both teams and the outcome of the clash could determine how far both teams would goal in Russia. Zlatko Dalic's men beat Greece 4-1 on aggregate to qualify for the 2018 Fifa World Cup, while Gernot Rohr’s side breezed past Cameroon, Algeria and Zambia to pick one of Africa’s ticket. You stand a chance to be one of the lucky fans who will cheer the Super Eagles in Russia courtesy of Coca-Cola's “Win a Trip to Russia” promo. Buy a bottle of Coke and get the code under the crown. Then text the code to 5453 and follow the SMS responses that you will get. It’s that simple! And get a chance to win a trip to the 2018 Fifa World Cup in Russia. Draws will be held weekly and the more bottles of Coke you get, the more chances you have to obtain under the crown codes. Six weekly draws will be conducted for trips to Russia from 23rd March, 2018. For terms and condition, visit the Coca-Cola Facebook page. Competiton ends on April 30, 2018. Luka Modric who was recently described by Andriy Shevchenko as one of the best midfielders ever is definitely one of the Europeans’ potent weapon to cage the Super Eagles. The 32-year-old Real Madrid star boasts of three Champions League winners’ medals will definitely add bite to the Blazers’ attacking force that parades Mario Mandzukic and Ivan Santini.